"There is, however, this consolation to the most way-worn traveler, upon the dustiest road, that the path his feet describe is so perfectly symbolical of human life, now climbing the hills, now descending into the vales. From the summits he beholds the heavens and the horizon, from the vales he looks up to the heights again. 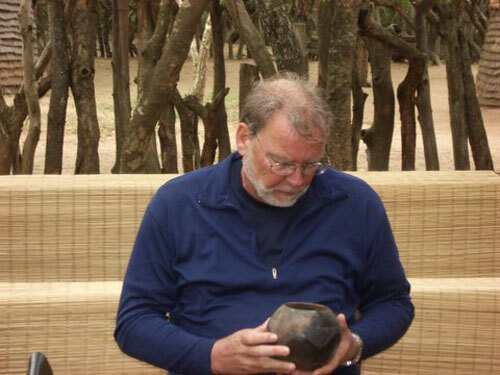 He is treading his old lessons still, and though he may be very weary and travel-worn, it is yet sincere experience. " "Exploration belongs to the Renaissance, travel to the bourgeois age, tourism to our proletarian moment. ... The explorer seeks the undiscovered, the traveler that which has been discovered by the mind working in history, the tourist that which has been discovered by entrepreneurship and prepared for him by the arts of mass publicity. ... If the explorer moves toward the risks of the formless and the unknown, the tourist moves toward the security of pure cliché. It is between these two poles that the traveler mediates. ... "
Welcome to the Bikes and Bios Chapter of the World Tour 2006 Live!Journal. Here, you can meet the intrepid riders on this year's 16,000 kilometer moto-adventure from Tianjin, China, to Munich, Germany. This will be our most international group ever, with one Norwegian, one Dutchman, two Japanese, three Canadians, and thirteen Americans making up the twenty participants on this year's adventure. As webmaster and archivist, I asked each participant to tell us a little about themselves, and to also submit a few of their favorite pictures with their biography. In order to preserve their story, only minor edits for pucntation and formatting were made. As is true in every Chapter of the Live!Journal, the stories are their own. Unless otherwise noted, all images on this page were submitted by the respective autobiographers, and are used with their permission. Images may have been formatted to fit the page. It gives me great pleasure to introduce the riders and participants of the World Tour 2006! I made it here ALIVE! Chile. I've always been a chick magnet. Peru. Fin del Mundo? Nah! THIS is as far as you can go. Argentina. My lovely bride Janet, better known as "Precious Darling"..
About Curtis . . . I grew up in a small town in West-Central Texas. When I was 12, I obtained a "hardship" motorcycle license and rode a Simplex, belt-driven, 5HP 150cc, 2-stroke to school in the 7th grade. You can't do that anymore. My Dad and I rode together as much as possible, but he could never get enough time off. So we would just leave out after work on Friday and come back on Sunday night, or leave out on Friday night and ride as for as we could until Wednesday noon and then turn around and go back home. 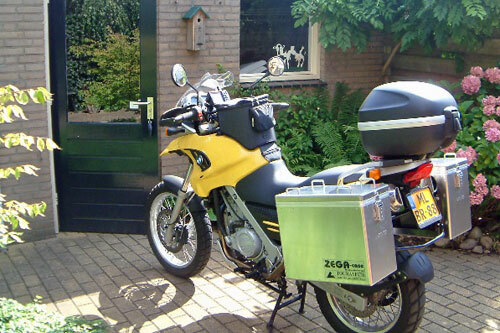 We both bought new 1981 BMW R100RT's for a much anticipated trip to Alaska, but never could go. After he died in '89, I didn't ride much for a few years, but got the bug again in ‘01. With a used BMW 1100RT, I decided to go for it! I went to the local dealer to get a tank bag, and left with a used BMW 1100GS, with a lot of goodies on it, and went north. Man, you can sure learn a lot when you know nothing. My Levi's were cold when wet and my work boots were not really waterproof. But I "got 'er done". 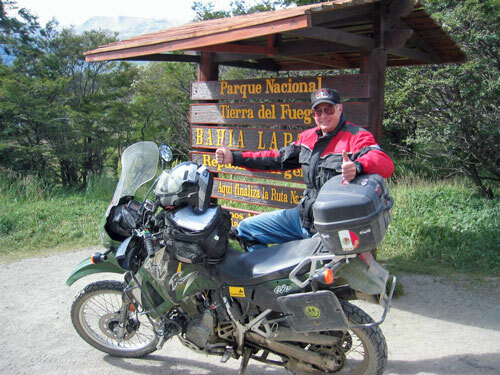 Then I shipped the bike to South America in '03, and went on a tour where I met Jim Russell, still learning. But the most important thing I learned was. I LIKE THIS. I practice a lot and ride whenever I can. I can leave the house and be on two-lane and gravel roads in an hour. Had a lot of bikes, and ridden a lot of places now. But I have been wanting to go on THIS trip since I read about the first one. I'm sure glad I didn't save my new BMW for this trip, I guess I would have been in Siberia when the transmission went boooooooommm. About Janet, who will be joining Curtis en route . . . So remember guys, I was a good boy on the trip! About Frank . . . Husband of ONE...Father of THREE. Anxious for World Tour 2006...Beijing>Amsterdam. 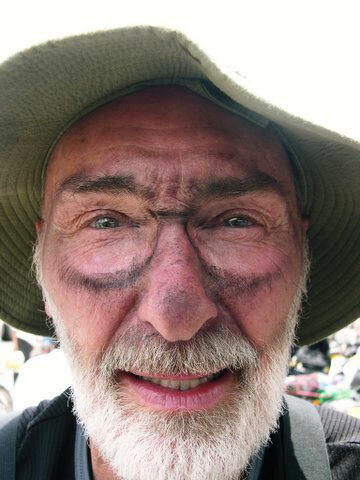 A well-seasoned Frank after riding through smoke-filled tunnels in Xian, China, from the Silk Road Adventure 2005. 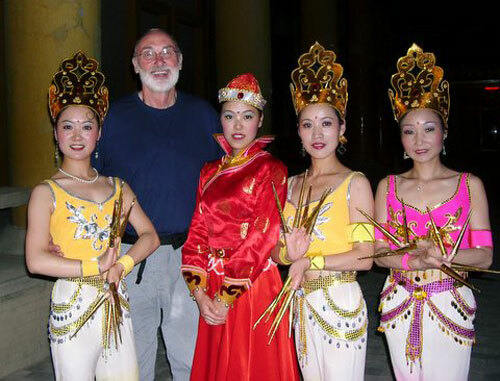 Putting to doubt any question as to why Frank is already asking about the next Silk Road Adventure. . . .
Bard retired late last year, so that he could go on the GlobeRiders World Tour 2006. 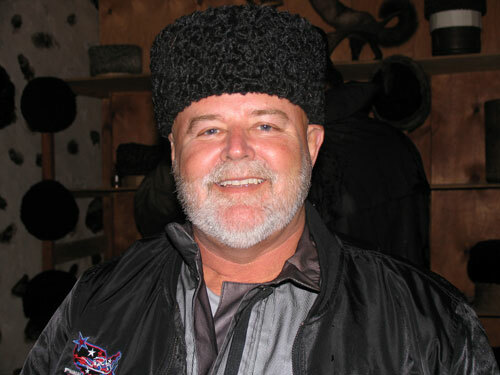 For 34 years, he was employed at FedEx/Flying Tigers, holding various positions in International Sales and Management. For 10 years he raced sport cars with the SCCA, TransAm, and IMSA. He followed that with flying airplanes. Bard is now pursuing his quest for Motorcycle Adventure Touring. After spending a considerable amount of time in Asia on business, and gaining much respect for the Asian culture, he looks forward to this trip. 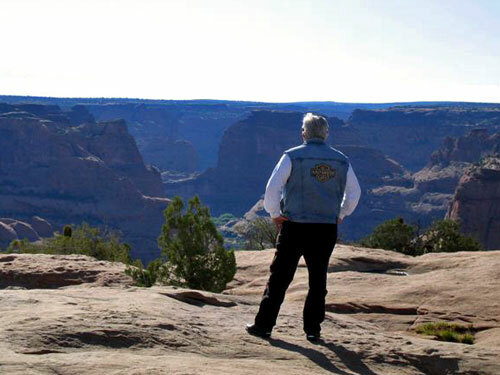 For 13 consecutive years he has lead the motorcycle group, Topcats of IL, www.topcats.org, to Sturgis, South Dakota. 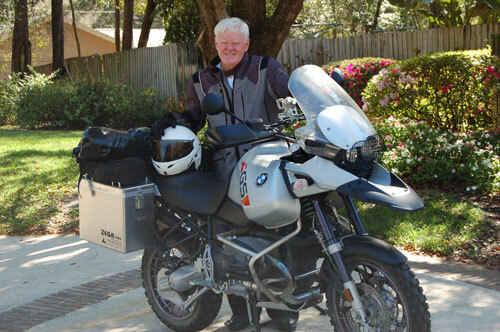 It is time to expand his travels and venture on this next chapter of Motorcycle Adventure Touring. Kathy has spent the majority of her life being a devoted mother and wife while working. She has held positions in various finance, retail, and customer service. She now realizes that a “retired husband” is another full-time job. Kathy has agreed to take early retirement, the end of April, so she can go on this trip. She is not eager to leave the grandchildren, but I am sure she will figure out a way to communicate with them regularly. She keeps Bard on track, plans the routes, solves computer problems, likes a clean bike, and stays organized. They look forward to this exciting adventure of foreign civilization and untainted landscape. Will be 63 when we make our trip. I'm a General Contractor in Central Florida, near Orlando. Grew up here, went to school here, graduated from Winter Park High School 1960 and Rollins College 1964. Been in business for 28 years, construct mostly roads & utilities, some building work. Employ about. 200 people at the present time. From Jan ‘65 to Jan ‘70 was active duty Naval Aviator. Stayed in the reserves ‘til ‘77. Flew A-4 and A-7 aircraft. Two cruises to S.E. Asia, 1968, on USS America, 1969 on USS Coral Sea. Still fly quite a bit, have owned several aircraft through the years, presently fly a Cessna 310. Been married to Ann for 37 years. She's originally from New Orleans, met her in Jacksonville, while in the Navy. We have 2 sons, 1 daughter, 3 grandchildren. All 3 of my kids are active in our company, which is great, but really messed up the exit strategy that I fantasized about in recent years! Recently purchased a 2005 BMW R1150GS. Previously rode a Harley Sturgis Dyna Glide. Most notable ride was trip to Alaska from Orlando. About Vincent . . .
Hello my name is Vincent Cummings; my friends sometimes call me Vincenzo. I was born in the UK and immigrated when I was a young boy to Edmonton, Alberta, Canada. When I was a kid in Alberta, you could drive a car at age 16, but could get a motorcycle license at age 14! When I was 12 my neighbor had a bike. I would hang out there whenever he was around with his bike, I couldn’t wait till I was old enough to be able to have my own. My first bike was a Yamaha 180cc - bought it new from Sears for $600.00 from money I made delivering newspapers. I met my first wife with this bike when I was 15. I used to have to meet her down the block from her house so her parents wouldn't see her riding on a motorcycle. We rode that bike everywhere; life was so simple back then. Since then I have owned a bunch of bikes and with the grace of God have never had a serious accident, lots of speeding tickets but no accidents. I bought my first BMW while attending University, a new 1975 R90S, same girlfriend. About ten years after this, I lost the girlfriend, the house and car, but got to keep the bike. I still have the bike today, 20,000 miles, showroom condition, never restored, garage kept. I now live in Vancouver, British Columbia, Canada, which is a great place for living and riding. Instead of children I have a garage full of bikes, up to seven now including the new R1200GS that I just bought for this tour. My business career with an international commercial diving company can be packed with stress. To deal with this stress, I ride. I ride whenever I can. Most of my holidays are based on some sort of motorcycle trip; even some of my business trips end up with some motorcycle riding. I've ridden throughout Canada, including Newfoundland and the Maritimes, up down both the East and West coasts of the States several times, as well as across the US, Coast to Coast on two different trips. Rode the Alps on couple of trips including Corsica, also New Zealand, and Mexico. 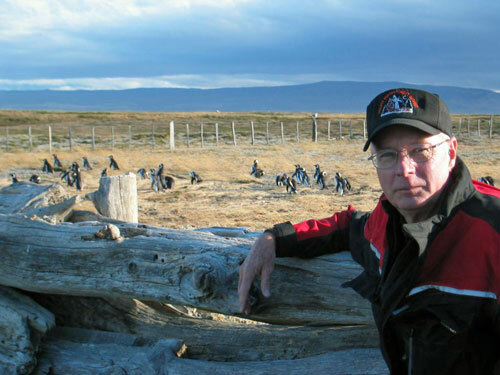 Just finished a trip this January in South America, Brazil to Tierra del Fuego. When I am home I ride most every day during the week, 10k evening runs, regardless of the weather  I kind of like riding in the rain, which is a good thing if you live in Vancouver. Sometimes to add a little variety, I send my golf clubs to some golf course a thousand kilometers away or more and ride there to play golf, then ship the clubs back and ride home. Also I sometimes go fishing; of course I take my fishing gear with me on my bike. I’ve been thinking for sometime about all the places in the world I would like to ride. I thought how great it would be to ride around the world and wondered how the heck I could ever do that. Then someone gave me Helge’s book “10 Years on 2 Wheels” and thought. “… this would be a great guy to ride with”. Chances are slim that I will ever get to ride around the world, but with GlobeRiders, not only will I get to ride in some very interesting places that I may not have gone to on my own, but I will also get to ride with one of the very few people that has ever ridden a motorcycle around the world. About Matthew . . .
Well, it has finally come to pass - I have successfully completed six decades in this good life. It seemed appropriate to celebrate this achievement with some extraordinarity. The World Tour it became. As brother Wim indicated, we are sailors and motorcyclists at heart. Many watery bodies, some larger than others, have been transversed, culminating in a double Trans-Atlantic crossing. Since one objective has been attained, it appeared reasonable to fulfill the next. Professionally, I engage in the science of optometry with a dash of art thrown in. It has been good to me and, I like to think, I to it. Socially I am a miscast , having been part of the same family for over 30 years. I must need a good base, it seems. I am excited to partake in this adventure. My first love is exploration and so I will likely stray from the common path. Electronic gadgets are reality, but give me a decent chart, a sextant mixed in with a bit of common sense, and I am on my way. However, I have been told you can't live without, so I'll learn to live with. I would delight in having my eyes opened to anticipated diversity in culture and vista. To all GlobeRiders: success is 2-parts planning, 2-parts execution and 1-part luck. Good fortune is in our hands with a little help from above. Practicing roadside repairs with my offspring. Playing dress-up with my lovely spouse Tina. 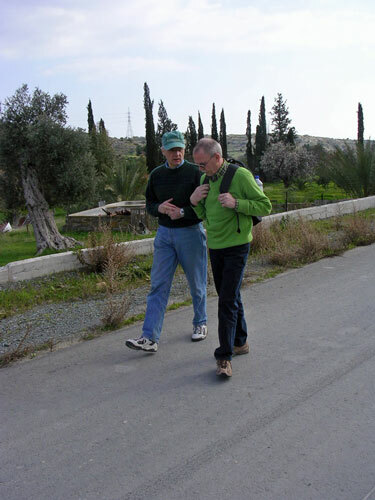 With brother Wim in Cyprus this February, no doubt discussing the World Tour "to do" list. Not complete without the "Yellow Fellow" that I will ride from Beijing to Munich. About Wim . . . I was born in the Netherlands (Lichtenvoorde) in 1944. Completed my studies in physiotherapy in 1971. I am married. 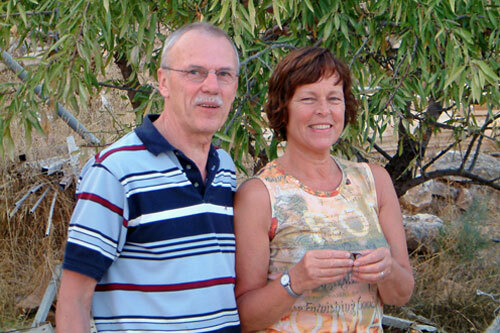 My wife, Leentje, has a son (born 1971) and a daughter (born 1972) and I have a son (born 1970). As yet, I am not a grandfather but, if all goes well, this should change in April 2006. I have been a licensed motorcycle rider since age 18 and have always been, other than a hiatus of approx. 10 years, a motorcycle owner. My first bike was a Maico (likely unknown outside Europe) followed by a NSU Max. Next a BSA from the UK army, with a left-sided brake pedal and gearshift on the right, which resulted in a confrontation with a fence during the trial run. 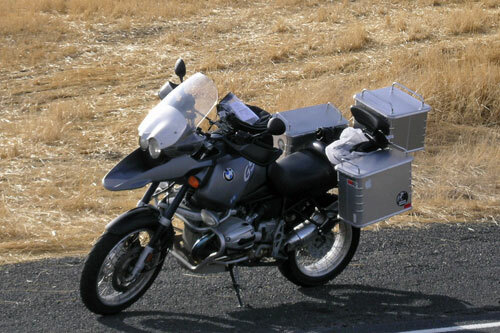 Next a BMW R600R, a Yamaha Virago and now, mostly for "the tour" a BMW F650GS. My greatest passion, however, is sailing. Together with my brother Matthew, we have sailed a great deal, cruising as well as competitively. Trips to England and France on my own boat and my greatest voyage on my brother's boat from New York to the Azores. The World Tour is my brother's idea, which after some discussion, resulted in our registration. In preparation, I entered a special off-road course in the Netherlands. This proved to be very educational, including my first significant fall. It highlighted my own weaknesses as well as those of the motorbike. I have taken corrective measures for both. About Enoki-san . . . This is my first writing. I’m a new member of GlobeRiders, my name is Enoki. I’m very pleased to join the World Tour 2006. This is my first GlobeRiders tour. Since hearing about this GlobeRiders tour from Mr. Sasamoto, who had joined the African Adventure Tour in 2004 (and I also had a chance to watch the slide show from Mike when he visited Japan in April, 2005) I have been getting interested in joining this tour. 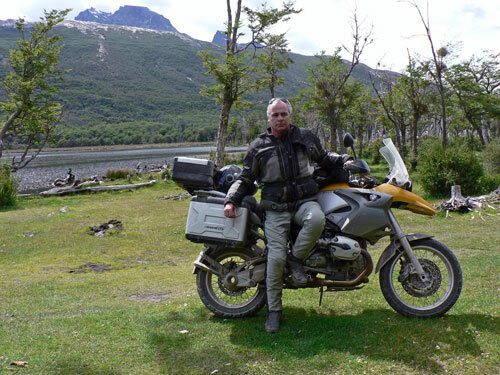 Usually I ride a BMW R1200CL but I bought a BMW R1200GS in order to join this tour. I will take this GS on the World Tour 2006. Now, I am importing daily products, furniture, and gardening goods as my own business. My trading partner countries are European, such as England (gravel), Italy (terracotta , Germany (stone and Asian, such as Thailand (wood crafts), Indonesia (household goods), Vietnam (ceramic), China household items, furniture). I’m importing many goods from these countries and selling them in Japan. I have just returned from Shanghai, China last week. Regarding my business character, I have been to many foreign countries but I’m really excited about this World Tour 2006 as I believe there must many changes for new interpersonal encounters. I’m 50 years old now and my only chance to know my old friends and my own status is by the New Year’s cards (letters), which is our Japanese custom. For me, this custom of exchanging the cards once in a year is really important, as it is the exchange of our latest information and a chance to show my desire to challenge new things all the time. I feel I can do what I really want to do in this phase of life from now on. The trigger of getting interested in this World Tour is just a tiny start, but I’m confident that I can experience really great things through this tour. Of course, to get acquainted with all the members is one of my biggest goals. I look forward to seeing you next spring. One-quarter of the way from the equator to the South Pole, it's as far south as the sun ever gets. This solitary sign was about the only "photo op" in the vast desert of Western Namibia. 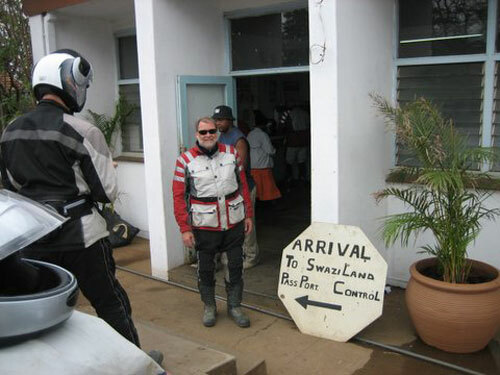 Another day, another border post - entering the Kingdom of Swaziland from South Africa. My name is Joe Hutt, born some 58 years ago in New York City, New York. I was raised on farms in the Hudson Valley. I started on bikes when I was 12 years old on a 175 Harley single. Moved up to scrambles racing and didn't get a car until I was 19 and then only for my wife. 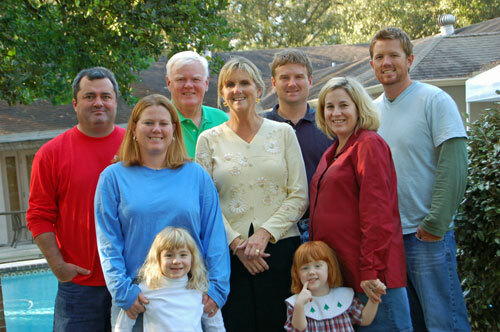 I spent almost 40 years raising 9 children and working for IBM and my own creation in Silicon Valley. Mostly designing software to build computer chips. I know not very exciting. For excitement I raced motorcycles and rode year round. My most intense racing has been in the last 10 years. I managed to keep two race bikes going and competed in the CCS and AFM clubs on the West Coast. I finished top 5 in several classes in 2002 and 2003. Since then, I've been teaching road racing at tracks in California and traveling around the world with my wife. 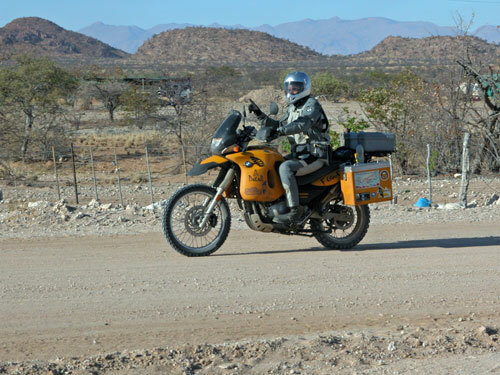 I ran a good portion of the Baja 1000 on the BMW last year and did the Africa Adventure tour with Helge. I'm looking forward to meeting everyone and having a great time crossing Asia. About Bill . . . I was 13 years old when somebody let me ride his Vespa in the backyard. I was hooked! I’m 59 now and I remember it like it was yesterday. No, like it was this morning. But living in New York City would mean that poor Billy would have to wait until he was 17 years old before he could get a learners permit. And on top of that, a licensed guardian would have to be on the back. My mom was (and still is) a brave lady. Imagine riding on back of a scooter in N.Y.C. with a beginner up front.! As soon as I was 18 I never looked back. Took my first trip south to Florida and Alabama (saw my first and last chain gang complete with striped suits) and most of the South. My only restriction was to call home every night. I made that trip on a 250 cc Yamaha. I sat on one just last year. At 6’1”, my knees felt like they were up to my chin. Kinda like in the movie Dumb and Dumber. I’ve made numerous trips into Mexico, Alaska twice and most of the states. When I’m not adventure touring I ride an Ultra Classic, which I bought in 2000 and quickly put 140,000 miles on. 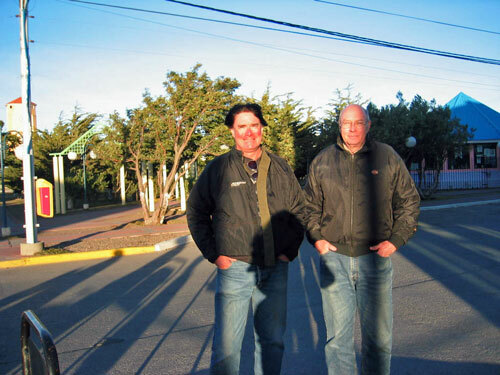 How I found out about the World Tour was on a trip last year to Tierra del Fuego. Dave “Wild Man” Wilde had on a T shirt with all 66 cities of the World Tour listed on the back. Yikes! I gotta do that. And here we are 57 days to go. Looking forward to meeting and riding with all of you. Run for your life - penguin stampede!. 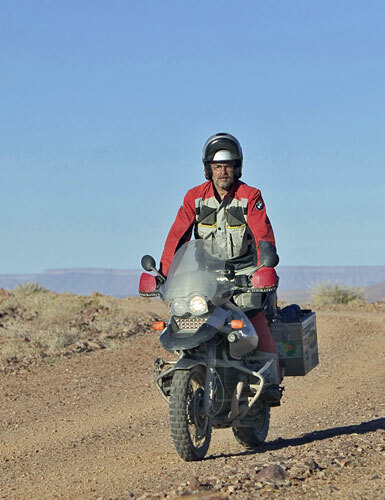 Chance meeting with Gregory Fraizer at the tip of South America, when he was on his 4th trip around the world. End of the road - Tierra del Feugo. On the hog in Mexico..
My name is Pierre Michaud, and I was born 54 years ago, in Rimouski, Canada, on the St. Lawrence River. I used to own and operate a car dealership in Montreal, sold it a few years ago, decided to retire and I must confess that I really enjoy it. I am married to a marvelous wife, especially since she lets me go for this trip, and together we have three wonderful children that we are very proud of. All three are gone from our home and are doing very well in life. Madeleine (my wife) is a member of the Air Navigation Commission for Canada at ICAO, and will keep working while I will be wandering. I started riding motorcycles rather later than early in life. 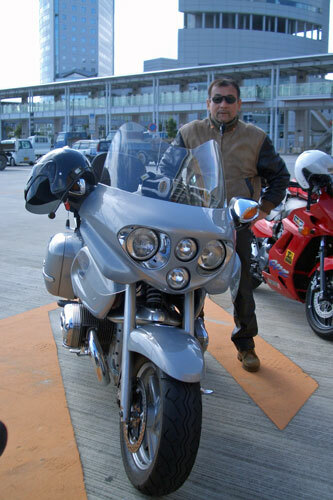 I bought my first motorbike, a 1991 Harley-Davidson Sturgis, when I was 40-years old. Even at that time, I was really longing for a BMW K100, but a friend of mine then convinced me I was better off with a H-D because it almost did not depreciate. I did not ride that bike that much, even though I thought it was a nice bike. Then, three years later, I traded it for another H-D, but an Ultra Classic, and then I started riding more seriously throughout Canada and United States. 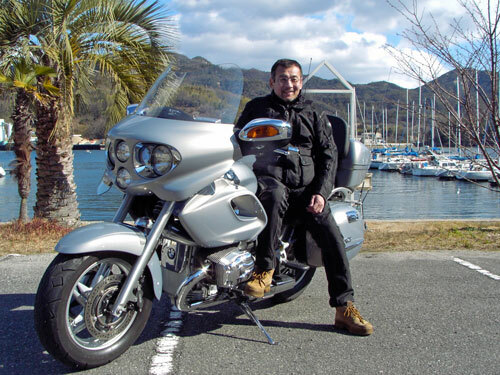 And I bought two more of those Ultra Classics, until September 2002, when I decided to switch to BMW, a K1200LT. 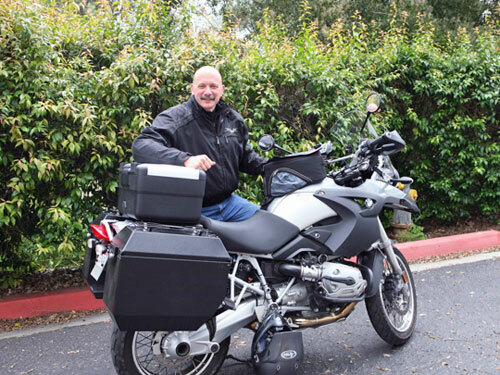 I liked it so much that I bought a second one (instead of buying the company <g>), a 2004 BMW R1150GS. I prefer the GS, but depending on the ride, I also enjoy the LT, especially for the comfort. I have ridden throughout Canada and United States, and then some more in western Europe. 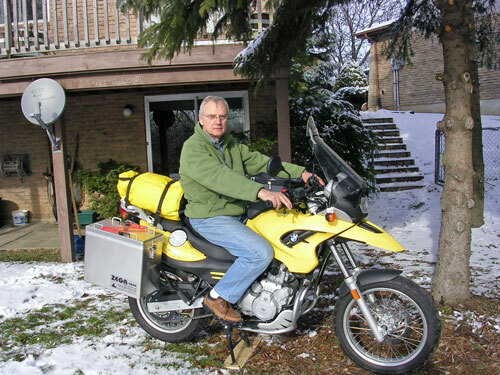 Last fall, I rode my GS from Montreal to Seattle and left it there for shipping to Beijing; this way, I feel like I am really making an entire 'World Tour'. This July, I will leave my motorcycle over there in Europe, and I will go back with my wife in September, for a few weeks, probably in Italy. I do most of my riding by myself or with a few friends, but I look forward to join our group, especially since I think it will be much better that way to go across China and Russia. Plus it will be an excellent way to meet interesting people. 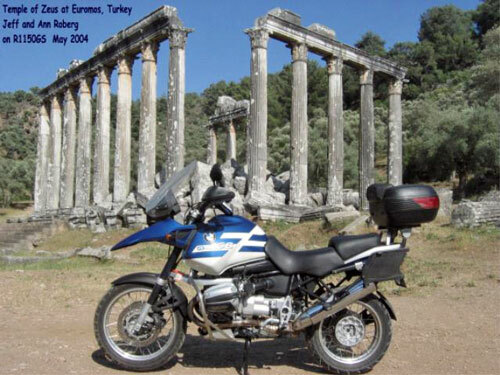 2005 BMW R1200GS/EZS Rally "L"
My first experience with a motorized two-wheeled vehicle was a Sears and Roebuck mini-bike, equipped with a 3-1/2 horsepower Briggs and Stratton, pull-cord start, single-cylinder engine with a centrifugal clutch. This was back in 8th grade, and getting our knuckles wrapped by the dreaded Sister Dorothea for riding it around the school auditorium early one Sunday did nothing to dissuade me from what has become a life-long passion for motorcycling. I road enduro back in the mid-seventies, then did some 6-hour endurance races in Open Production Class. 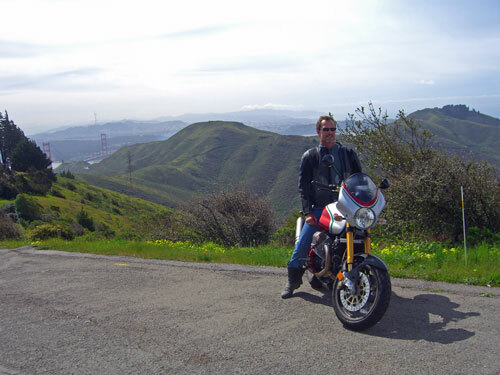 I went through the café racer phase, then the sport phase, a sport touring phase, and finally found my obsession in the purchase of a 1993 BMW R100GSPD. 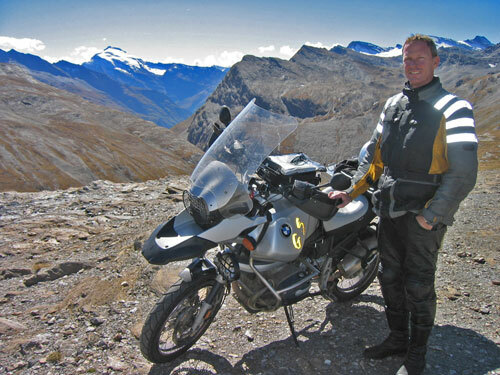 Since then, I’ve never wavered, and have sequentially owned a 2000 BMW R1150GS, a 2002 BMW F650GS Dakar, a 2003 BMW R1150GS Adventure, and now a custom-built 2005 BMW R1200GS rigged with a Dutch-built EZS Rally “L” sidecar. I am blessed to have the love and support of an amazing partner, my wife, and love of my life, Aillene. Although my being away is hard for her, she gives me my freedom, and doesn't begrudge my passion for adventuring. She allows me to ride guilt-free, and enjoys touring with me when her frantic schedule as a nurse allows. I’ve had the honor of working with Helge and GlobeRiders since 2002. All in all, it has been an amazing experience, and it allows me to fully engage myself in the world of global adventure touring. The planning and preparation is fascinating. I have the joy and pleasure of meeting many amazing client/riders on our adventures, and have made lasting friendships in the course of our tours. What more could anyone ask from life? The motorcycle is the perfect vehicle for exploring our world. It allows one to travel far in a fuel-efficient manner. It immerses you in the environment  the sounds, the smells, the very air (and rain!) you travel through. Most importantly, unlike the isolation imposed by a car, truck or bus, a rider is exposed and vulnerable, and thus, approachable. The motorcycle is a catalyst for conversation and friendship. We have a fantastic group of riders on this year’s tour. I look forward to an amazing and rewarding adventure. I can’t wait to get underway! Best Regards and Safe Journeys, Wherever They May Take You! 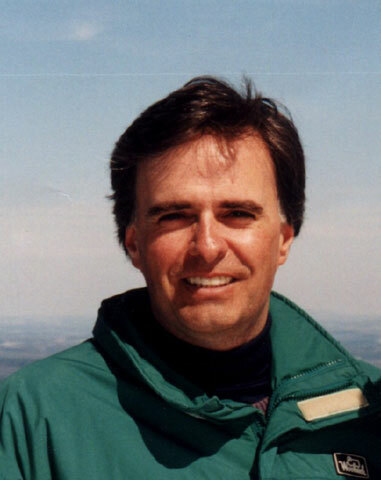 You may view Mike's GlobeRiders Biography page by clicking here. About Helge . . . If you had asked me twenty years ago about my future I really never thought I would end up where I am today. 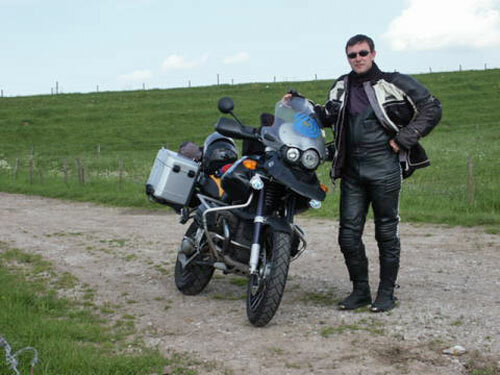 Having traveled the world on two wheels for so many years, mostly alone, I had found my own ways of enjoying the freedom of meeting new people and seeing new lands. In those early days I lived a very simple life and my tent was my home. After meeting Karen in 1988, things started to change, now we were two people. The tent stayed the same size, but the experience changed. 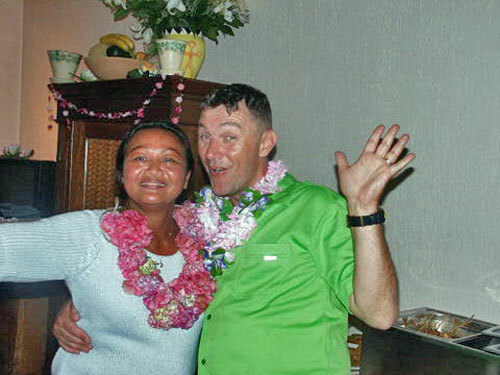 Karen and I are now married and live in Seattle, Washington, USA. Through it all I have learned that there are so many different ways of appreciating travels to foreign countries. This will be my 4th GlobeRiders World Tour and I am very excited to meet all of the participants. Having members in the group from all corners of the globe is a great addition to this particular journey. I am also very much looking forward to share the road again with my good friend and GlobeRiders partner, Mike Paull. How lucky can one be to have an understanding wife that let’s me travel the world on a motorcycle? Some times I have to pinch myself to really understand that this is my job and I can make a living from Riding the World. Other times I just can’t stand the sight of another spreadsheet with cancelled hotels and a budget that does not go where I had planned. It is all part of the adventure and I am happy that we can share it all with you. Wish us all a safe journey. 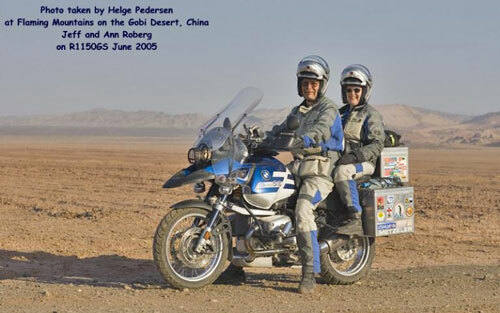 You may view Helge's GlobeRiders Biography page by clicking here. About Eef . . . I am the last participant for this World Tour and I would like to introduce myself to the group. I know I have a lot to catch up on, so first I will tell something about myself and background. My name is Eef (pronounced as “Dave” without the "D"). I live in a beautiful old city in the Netherlands (famous for its cheese, no kidding). I am married with Carmen and we have 2 children from her first marriage (our daughter the lovely Clair, an F650GS PD owner, and our lady-killer son Cris; unfortunately a fast car lover). I am 40 years old and a CEO and 50% owner of a company which produces burglar-proof and fire-rated roller-shutters and sliding doors. For years I am a motorcyclist and started on small 50 cc bikes when I was 12. I bought my first Honda CB550K Four when I turned 18. Not long after that I bought a KTM GS400. After graduation I started my career in the roller-shutter business and had to buy a car. 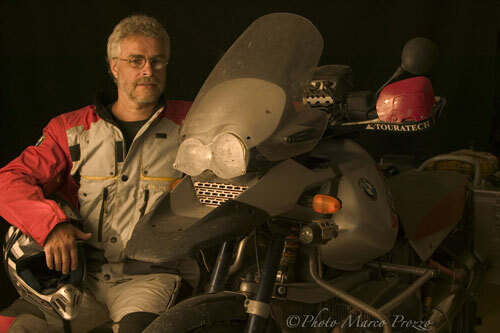 I didn't ride a bike for almost 10 years :-( I guess 7 years ago, I bought my first BMW GS, and last autumn I bought my third GS, the BMW R1150GS Adventure. I think I am an experienced rider. In the Netherlands motorcycling is considered dangerous and is not so popular as in other countries. The Netherlands is small and overcrowded and has also too many cars! Every year I take at least some kind of training; I've been to the BMW Enduro Park in Hechlingen, Germany, 2 times! Did some advanced training for safety on the road, circuit training etc. In April I will do an advanced off-road training course. Besides this I am a little involved in a BMW dealer in the Netherlands. I am a part owner of this "small" exclusive BMW dealer. I mostly spend hours there and buy too much stuff. I guess I am the best customer - Oops! 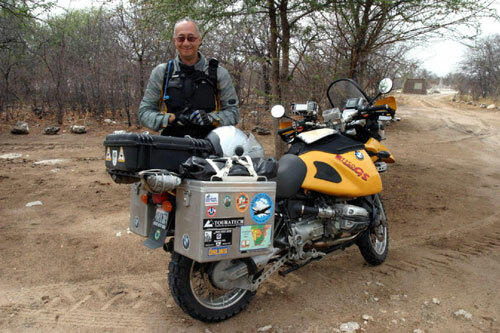 In January 2004 I was invited by BMW for the introduction of the 1200 GS in South Africa. This was thrilling! Especially to see the movie “Around the World in 48 days". Of course on a 1200 GS. We did some of-road on the red gravel and this bike is truly magnificent. I try between work and family to have some journeys on my bike. I've been in several countries in Europe, but never outside Europe. 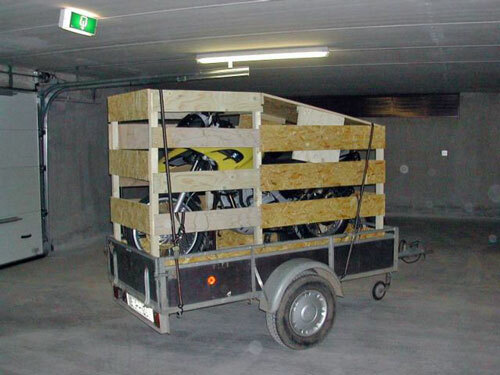 Once I did a Tour with 15 Belgium bikers through Europe for 4 weeks and drove some 10,000 km (I met them on the internet and didn't know any of them). My ultimate dream is a world tour. 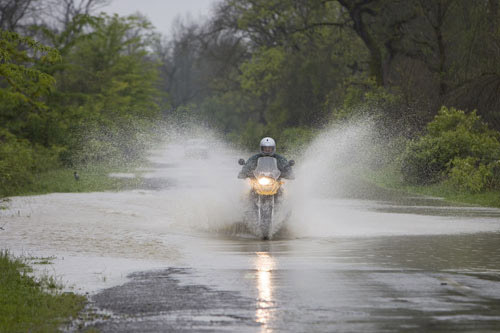 Have you seen the BMW R1200GS promotion movie? Or Ewan McGregor’s movie “Long Way Around”? Although I wanted this for a long, long time, it didn't happen. Work, business, my wife etc. - all kinds of excuses. Also time, or the lack of it. I know that to prepare for such a journey, it takes some considerable preparation time. When I read about this journey, sometime in June last year, I had some email contact with Mike and gave the same excuses as above for not signing up. When I read in December that one place was available I knew this was my chance! "Time for talking was over, time for action." I hope the journey will meet my dreams; to see new places, cities, and landscapes. To meet other people from different countries. 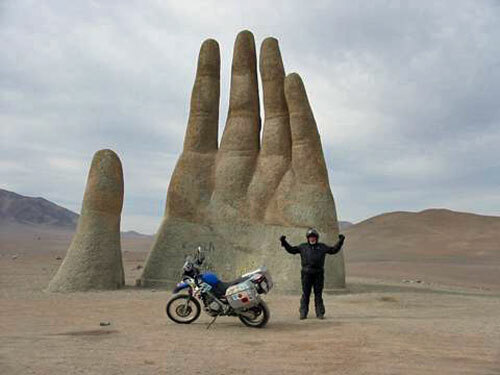 To enjoy all this with other motorcyclists, the adventure of a life time. To have fun together and share all the good things and hope that nothing bad happens. Strange to find out I am the youngest ;-) I still play some soccer and tennis on an acceptable level with and against young men in their young 20's. So most of the time, I am the "old man". Now I see that it's relative! Carmen and Eef, having a good time! Eef and one of his three GSes, somewhere in Holland. 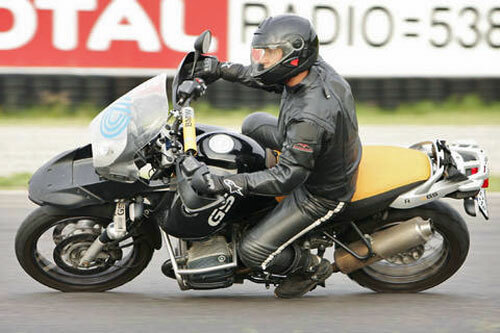 Showing the sport bike crowd how it's REALLY done, on a GSof course! (Note the daylight, or lack thereof, between his toe and the track!). 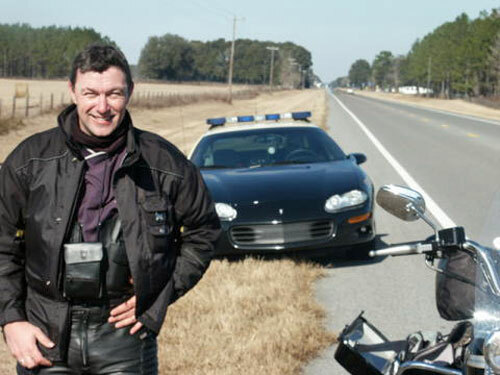 Running afoul of the local LEO (Law Enforcement Office) in Florida, USA. About Ann and Jeff . 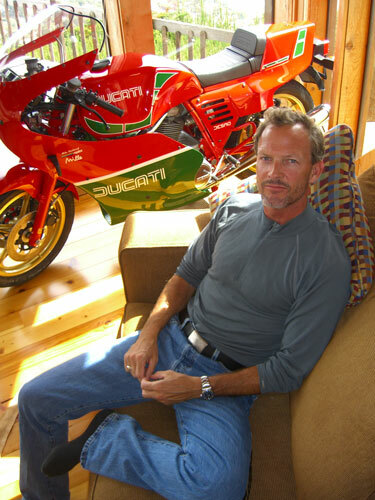 . .
Jeff became interested in motorcycles in the 60’s and since then has always had a motorcycle of some type around. In college he helped a friend start a motorcycle salvage company. To help pay for college he would buy and fix up bikes to sell. Ann came along somewhere in that process and remembers several “dates” rebuilding a Honda 450. Our son and daughter are out of the nest now and we don’t have many family responsibilities to leave behind. When we go for an extended ride we have good people standing behind us to keep the ships afloat. 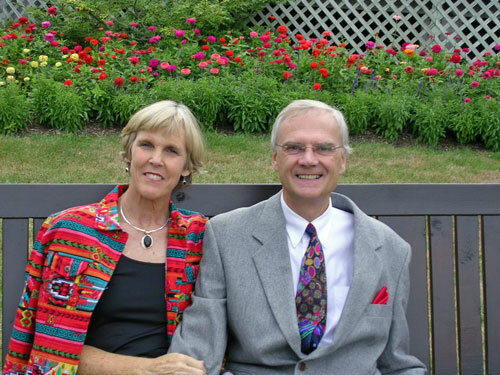 Today Jeff and Ann’s life centers around motorcycles, animals, real estate and visiting other countries and cultures. When not exploring some part of the world we operate a veterinary clinic and two commercial buildings that are leased to other small businesses. We try to travel three to four months a year and use the rest of the year to plan trips, service motorcycles, practice veterinary medicine and be a landlord. 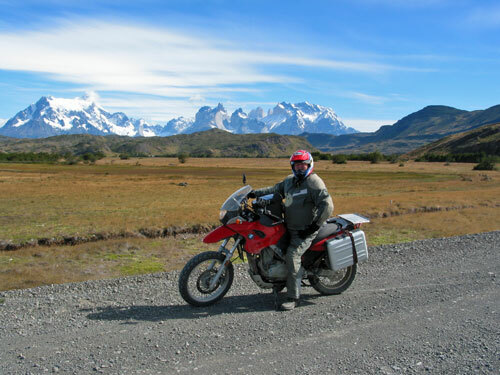 We have developed a fair amount of expertise on travel and maintaining motorcycles. We have published in most of the major motorcycle and veterinary magazines. 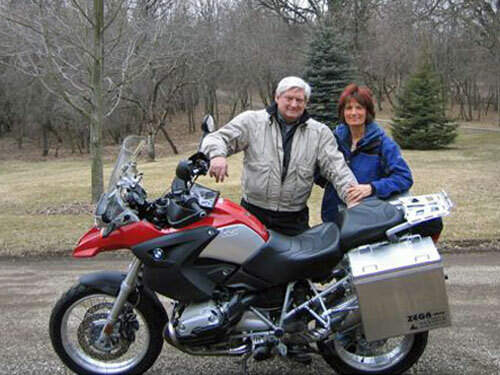 Our entire family is active in BMWMOA and the Gold Wing Riding Association (GWRRA). Since our youngest graduated from high school seven years ago we have ridden in about 45 countries and over 100,000 foreign miles. We have traveled in North, Central and South America, Southern Africa, Europe, Central and East Asia, and Russia. Our next destinations are Iran and repeating the World Tour. With a garage housing a fleet of 10 motorcycles, including three 1150GSs, we are always ready to ride. The rest of the fleet consists of “K” bikes, an airhead, a Soft Tail Duce Harley and a Gold Wing. In our older age we have been trying to simplify life but have been unable to give up any bikes. We are looking forward to another good ride. Life's journey is not to arrive at the grave safely in a well preserved body, but rather to skid in sideways, totally worn out shouting "Holly S***, What a F***'n ride!" About Jim . . . I was born, grew up and was educated in Kansas City, Missouri where I have lived my entire life, except for two years in the U.S. Army, where I was stationed in Missouri, Georgia and Vietnam. 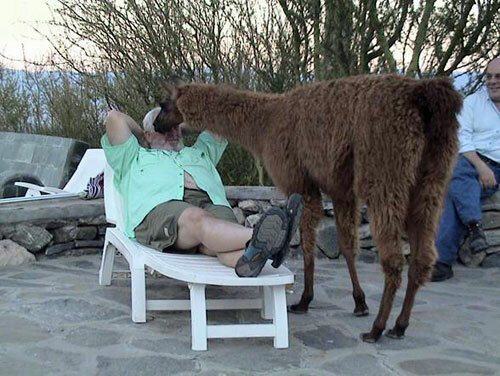 I am happily married to Dolores, my wife of 33 years. We have three sons and five grandchildren. 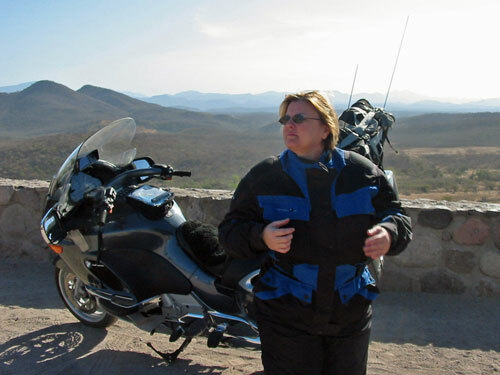 Dolores, a retired RN, is at home except when she is riding with me on about 75% of my motorcycle trips. I own a competition go-kart business, a family-owned business since 1959, here in Kansas City. My oldest son, along with a fine staff, keeps things going while I'm away riding the world's roads. I’ve been riding motorized two wheelers, since I was 12. Started with a mini-bike, graduated from 50cc to 350cc during the time we sold Bridgestone motorcycles in the mid and late 60’s. We traded for a Harley pan head that I rode while I was in high school. Back then I was a skinny kid and had a lot of trouble getting the thing started. It kicked me a lot harder than I ever kicked it. Latest bike is a second BMW R1200GS. I bought it because I planned on riding to the Panama Canal and didn't know if my original GS would be back in time for the World tour. 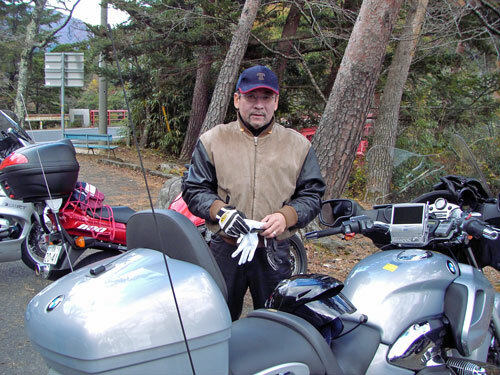 I also have a BMW F650GS, a Harley V-Rod, Honda 350SL and an Ariel Square 4. I started riding long distances when my dentist talked me into riding to Alaska with him in 1999; he ended up not going so I went solo. Key West to Prudhoe Bay and back, that started it. Since then I’ve ridden in every state except Hawaii, every Canadian province except the Northwest Territory and will have ridden in over 50 countries by year’s end. 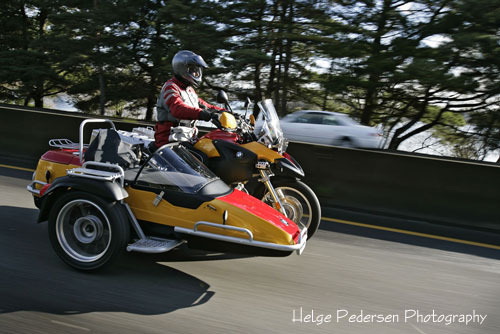 I attended a slide presentation about Iceland by Helge and wanted to ride with him sometime. I planned to do the World Tour in 2004 but went to Norway instead. 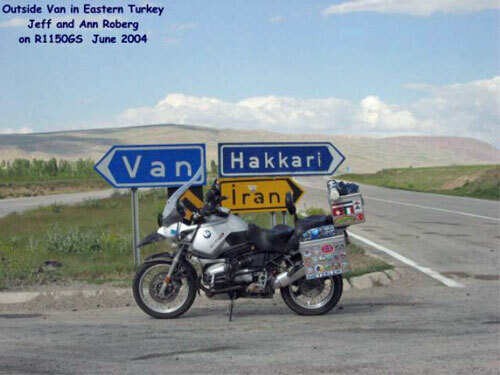 I did the Silk Road with GlobeRiders in 2005 and hope to do one or two more in 2007. About Sasamoto-san . . .
[Editor’s Note: In Japanese, the family name is given first, the given name last. Thus, Yasuaki Sasamoto is actually Sasamoto Yasuaki-san in Japanese (the honorific “-san” is always used when addressing another by given or family name, unless they are a very close friend, family member or superior, when other forms such as “-chan”, “-kun”, or “-sama come into play). However, because these are an honorific, one would never use them when referring to one's self. My name is Yasuaki Sasamoto. I was born in Tokyo and grew up in Tokyo until today. I’ve spent 53 years in Tokyo. My first experience to ride a bike was when I was 14 years old. But I did not have a license. Because we could not get a license until 16 years old in Japan. I always rode my bike in the early morning around 5AM to 6AM. Because not so many police are in the city at the early morning at that time. When I was 16 years old, of course I got my license, and went to many places in Japan under the good sun shine. Just riding a bike under the good sun shine was my dream. Because I could not get any good sun shine at 5AM~6AM riding illegally in Japan when I was 14. But after 2 years, I got my license for a car. It was more convenient, more comfortable and made it easier to get a girlfriend! I did not ride a bike so many times after getting a car, and did not think about bikes again until I was 46 years old. 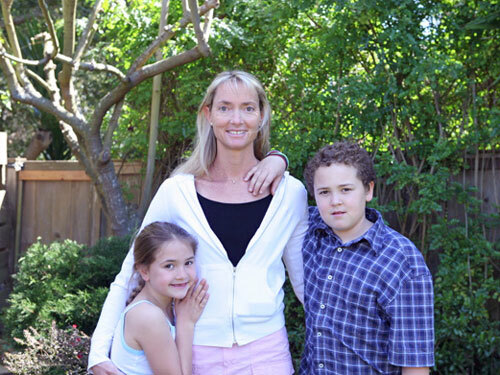 When I was 46, my daughter and son were busy every day. They were around 15 and 17 years old. I was thinking about some thing to do enjoy by my self. I thought maybe riding a bike again is better. But I did not know if I could ride a bike after driving only cars for more than 10 years, or not. Then I bought a bike again. It was just like a dream, not real life. Because I am not in love with the bike itself like other riders. It was just like a dream where the most important part was I ride could a bike like when I was young. That is the mind getting old, I think. So, riding a bike seemed even more fun than when I was young. But I still did not ride a bike not so often. It became something like just going fishing or skiing for me. But now, I know what made riding a bike so much for fun for me for when I was younger. It was the inconvenience and “uncomfortable-ness” and it was not so easy to get a girl. It was the challenge that goes with riding a bike. I think I will ride bike more than ever before in each year in the future. About Elliot . . .
Born and raised in New York - rode trails and street as a teen. In California in 1974 - introduced to desert riding and freeways. Married to Tralie - early date of backcountry dirt bikin' sealed the romance! Honeymoon - a western states motorcycle romance (Traile on her OWN bike!). 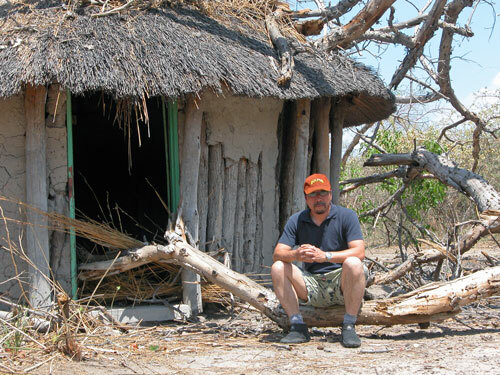 Expect Traile will want to do the GlobeRiders Africa Adventure in '07. But, who will watch the kids??? Jenny - married to John, with 1st grandchild Jake. Andy - married to Maggie, with 2nd grandchild Ben due the week we leave for China! Eli - 9 years old, my muse, loves to 4-track the Baja dunes, and is the next generation GS'er. Maisie - 7 years old, a speed freak sweetie!. Loves 4-tracking on the Baja beaches. Still passionate about working in public health. World Tour appeals for being in the unfamiliar and challenging, and for traveling to where my family, 2 generations ago, came from. My fellow riders seem a spirited , varied and interesting lot. Much to discover and experience!! Elliot and his World Tourer. Elliot's daughter Maisie, wife Tralie, and son Eli. About Andy . . .
A hearty greeting to my fellow GlobeRiders! My name is Andy Upjohn and I will soon be seeing you all in China, then, (Mike, if you please, que the score for Easy Rider), it's Time To Ride. I've recently moved down to Sausalito, CA from Seattle, where I had a small film company that supported independent films, from documentaries to full-length features. I'm also involved in a bar/theatre which screens independents. I'll miss Seattle but have lived in northern CA before and consider it home. So. I had a dirt bike that never worked when young, but got my first functioning bike the moment I turned 18 (the venerable CB400 Hawk). Being that enthusiastic and limited-view age, I strapped on a Boy Scout pack and chased sailing crew jobs around the States from SoCal out to Michigan, down to Florida and back up to Maine. I've since done many trips around and across the States and shake my head in wonder at my earliest ride. 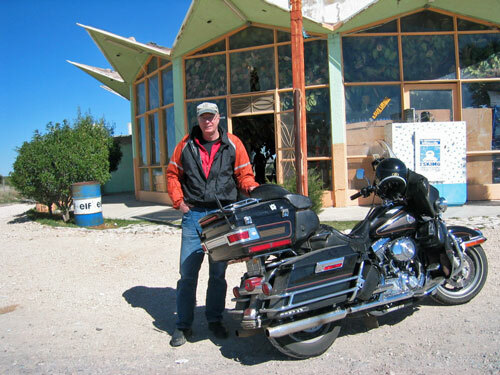 In the early nineties I began to see the bike as more than just a means and began exploring Mexico and Central America. My buddy and I shipped our XRs down to South America and explored the high latitudes down there. 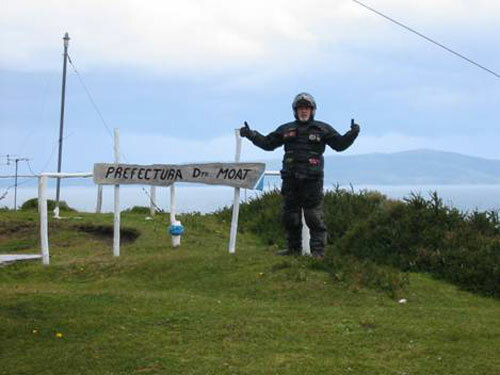 I still keep that bike in Santiago where I'm overdue for another flogging on Ruta 40. 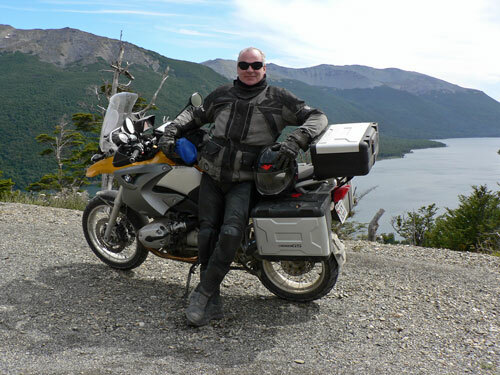 When the K1200RS came out I kept one in Europe and toured many places, focusing again on the further latitudes of Scandanavia and the northern British isles. Scandanvia is a very special place as everyone knows, and if time allows I will no doubt find myself up there after the World Tour, though I tell ya Corsica is also a gem. I rode around Australia just after 9/11 (all tarmac, though), and it was interesting to be on the receiving end of sympathy as an American from understanding Aussies after that tragedy. Last Fall I rode some of Eastern Europe and of course had to return to the Alps. My intention is to do major trips on all rideable continents and am saving Africa for when I grow up a bit and my skills catch up with the scope of my dreams. 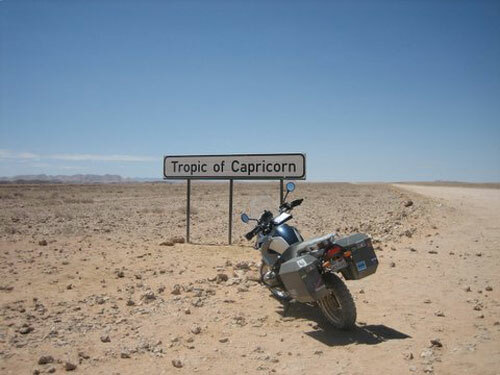 I have ridden around South Africa a bit, though feel unprepared for an unsupported ride further north right now. In two years time perhaps. I have a number of bikes and while most of them are Italian, it's the RT or GS I inevitably end up on. This World Tour will be my first organized and supported tour and I am beginning to lose sleep over the excitement. I usually ride alone or with one of my two riding partners. As Mike mentioned, I will be joining him and his wife, Ailleen, for a pre-trip trip in Japan, where I'll attempt to keep up with the Great Orange Hack, and do my best to chase him around MT. Fuji before our meeting with the rest of the group in Beijing. As an aside, my equally passionate, if not more so, activity is sailing and I have spent years pursuing this as crew, instructor, and skipper. While I have sailed across a few of the oceans in my own boat, my dream here is to tie it together in a circumnavigation. I only wish that my off-road riding skills were as complete as my sailing. At the risk of sounding a little groovey, I can feel the energy building as we all look forward to one of the grandest adventures of our lives. I look forward to meeting you all and am excited beyond measure.